If you're a fan of the super fast, lighter weight fights, Rumble Time has something special planned for you. 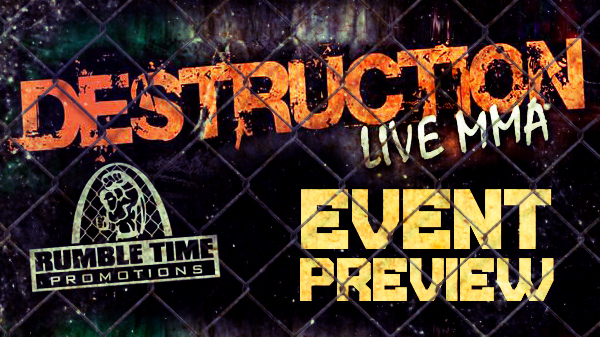 On Friday, MMA will return to the Ameristar Casino with "Destruction." Rumble Time has assembled a pro card that features three flyweight and one bantamweight bouts. The main event will see "Johnny Irish" Dan O'Connor (4-1-1), competing just three days removed from St. Patrick's Day, taking on a former teammate in Gary Becker (0-1). For more on O'Connor and his relationship with Becker, check out this excellent interview by Brett Auten. O'Connor and Becker are no strangers, having swapped punches in the gym, but on Friday, with money and glory on the line, there will be no holding back. Stylistically, O'Connor should be the favorite with more professional experience, but if you factor in amateur fights, the two are almost equal in the number of fights. O'Connor should have the edge on the ground, but don't count out Becker just yet, as he's proven to be hard to put away. Malshon Ball (2-2) will look to rebound from a recent loss to Ben Chesser (who is also on the card.) Ball will have his hands full with Jonathan Martinez (1-0) out of Texas who had a stellar amateur record, and is sitting at 1-0 as a pro. Ball is a rangy flyweight and a tough match-up for most. 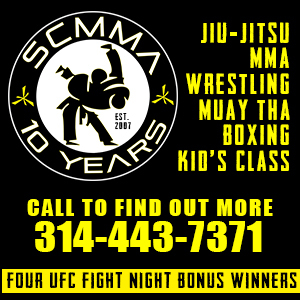 CMMA's Nick Dioneda (1-2) is back after a one-year layoff. Dioneda defeated Brian Mason at Shamrock FC in March of 2013. Dioneda looked strong against Mason, but will need to quickly knock the ring rust off against Jordan Howard (5-3), a fighter he has already battled once to a unanimous decision loss in August of 2012. Howard is riding a four fight win streak going back to 2012. Kicking off the pro card is a battle of two young flyweights in Matt "KO Kid" Murphy, who is making his pro debut, facing Chesser (1-0). Murphy was prolific as an amateur, but has lost four of his last fight fights. He'll need to put it all the pieces together to outsmart "The Professor," who can be very slick on the ground. Murphy should get the nod in athleticism and has shown he can take a punch, but give the nod to Chesser should the fight hit the mat. Justin Lankford will take on Yerick White in the top-billed amateur bout. Lankford has a smothering style that can cause problems for most if you have trouble defending the takedown. White, fighting primarily out of Southwest Missouri,has good submissions and four of his fight by way of the tap out.